Nizamabad, Jan 30: Reiterating Telangana Chief Minister K Chandrashekar Rao’s stand on Centre-state relationship, senior Telangana Rashtra Samithi leader K Kavitha asked center to get rid of the Concept like concurrent list and demanded more delegation of power for state government. “Centre should give free hand to state governments and allow them to formulate their own policies”, said Kavitha. She opined that state governments can effectively address subjects like education and agriculture. When asked about the development projects in the state, the TRS leader assured that all the TRS lawmakers will meet Prime Minister Narendra Modi to get the long-pending clearance. She hoped that central assistance would fast-track the development process of Telangana. The Lok Sabha Member demanded that Kaleshwaram should be declared as the national project and recommendations of NITI Aayog regarding Mission Kakatiya and Mission Bhagirath should be effectively implemented. 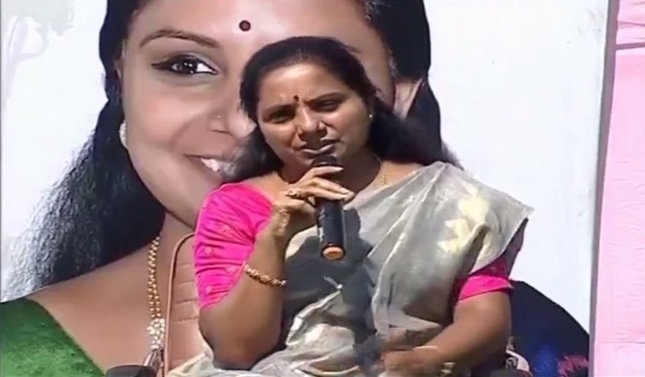 When asked about the role of K Chandrashekar Rao and TRS in the upcoming general elections, Kavitha said that the pink party will repeat its performance of state assembly election.